The January snow keeps coming. We had a three day weekend and each day the snow got deeper and deeper. 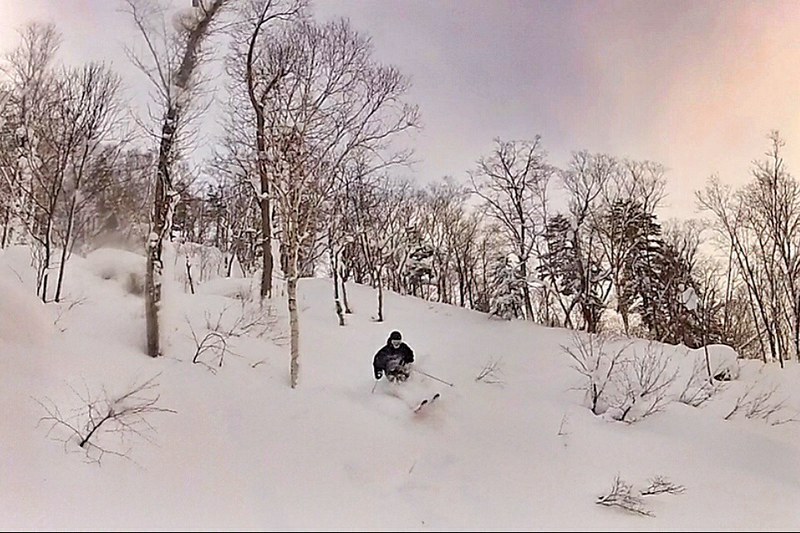 This is what Central Hokkaido is all about. Saturday 11th at Mount Racey in Yubari, a town famous for $10,000 melons and a bankrupt local government. It doesn’t often get as much snow as elsewhere, so I usually only go there in the spring for their excellent terrain park. Saturday was different though. On Sunday we headed to Sapporo Teine. It was dumping all day. 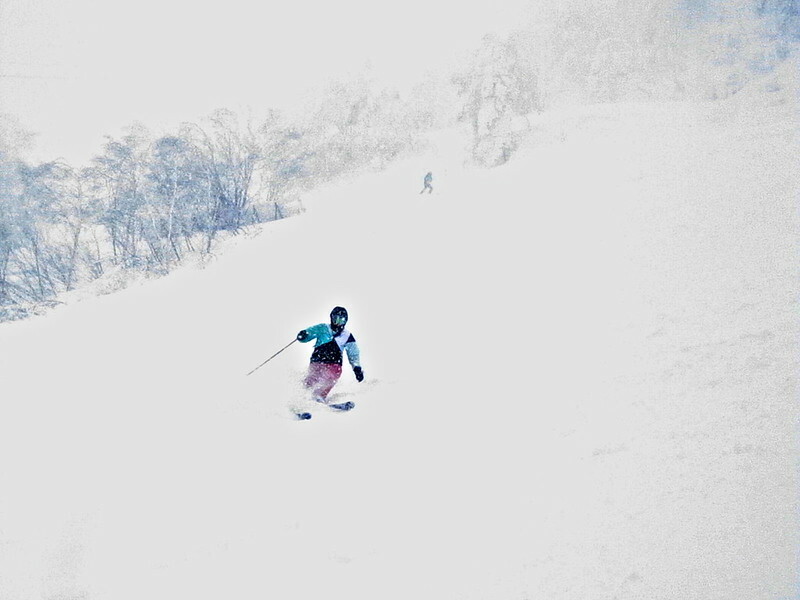 Poor visibility meant we only ventured into bowls 1 and 2, but we still got fresh lines well into the afternoon. The camera was pretty much useless in the bad weather. Monday was back to Teine with Grady and Meghan. The visibility was better so we ventured further along the summit ridge. 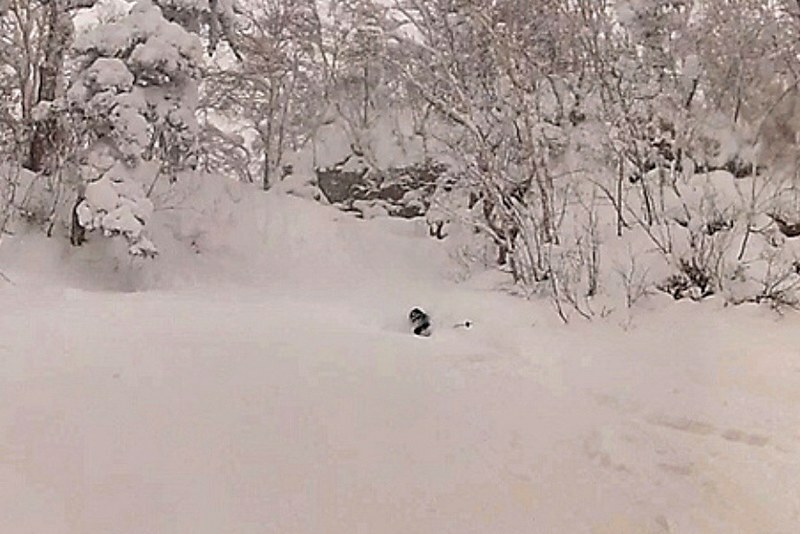 Bowls 4 and 5 were chest deep and we had our choice of lines all day. It was good to meet another skier, Urban from Switzerland. 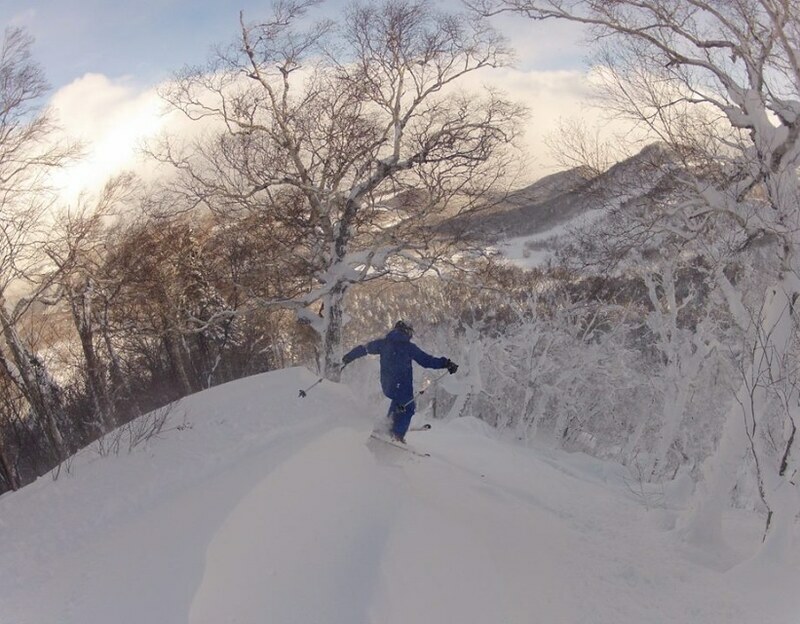 He’s finished his post at Hokkaido University and is taking a month off to ski. Great timing! 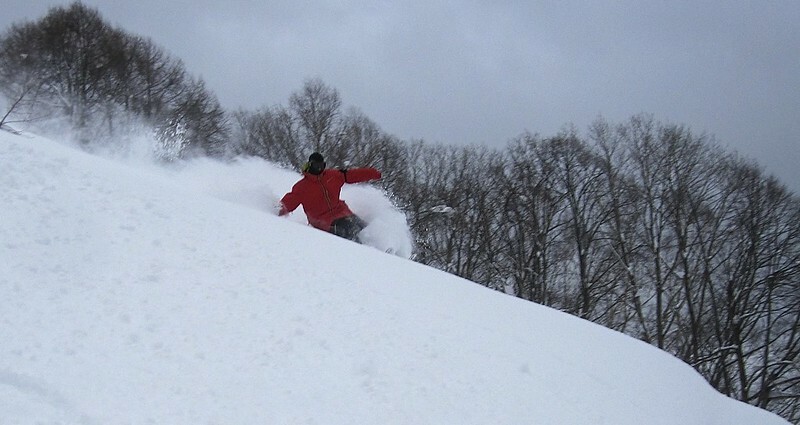 An awesome weekend, and the deepest turns of the season so far. The snow looks set to continue, so next weekend should be equally good! This entry was posted on January 14, 2014 by Andy Evans. 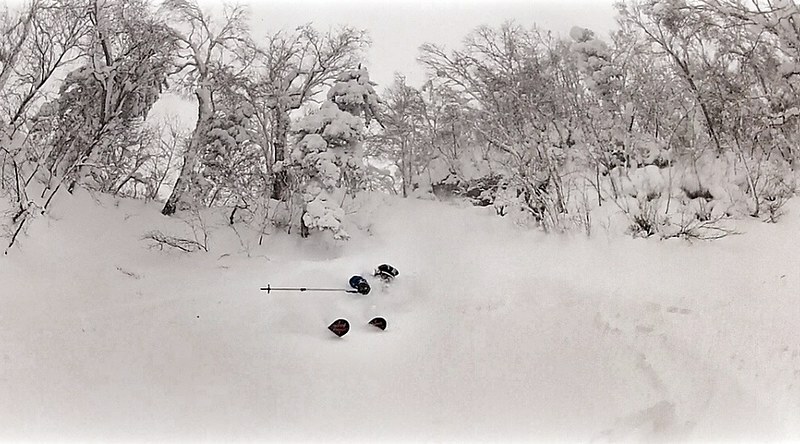 It was filed under Mount Racey, Sapporo Teine and was tagged with Hokkaido, ski, Teine, Yubari.